What you’re about to read is an actual, real-world, successful case study that we’ve helped engineer. We hope this case study will animate your sense of how much really IS possible for you and your company.  It will also shed light on the breadth and depth of Uhuru’s capabilities and what we can deliver to your company. Developing a marketing machine that engages with audiences earlier in the buyer’s journey—filling the funnel with leads that sales can convert. The world leader in Digital Threat Management Cybersecurity, based in San Francisco, provides cloud-based SaaS for organizations to detect phishing, fraud, malware, and other online security threats. RiskIQ monitors advertising networks for malware (malvertising) and spyware and provides mobile app security services. Marketing had been highly technical and product-focused. Lacking a content strategy, RiskIQ couldn’t determine the direction or which priorities and tactics to put in place. 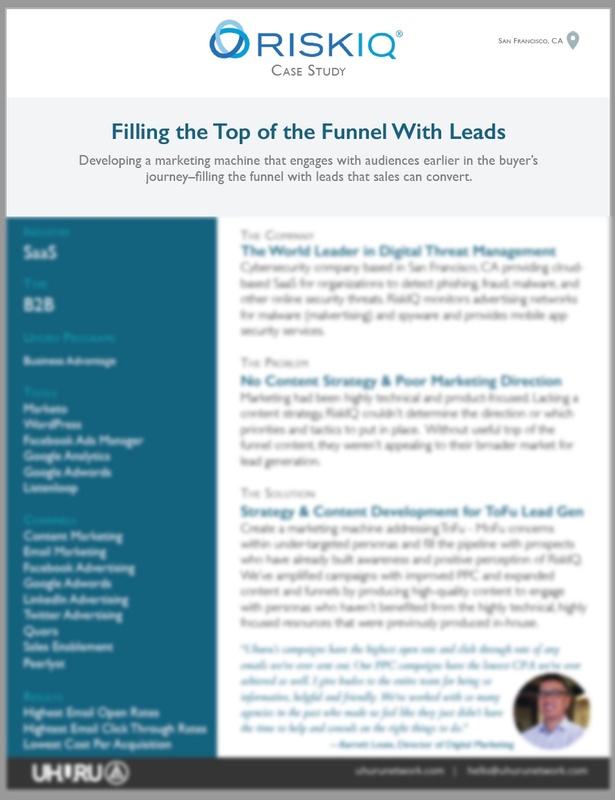 Without useful top of the funnel content, they weren’t appealing to their broader market for lead generation.